"My life has been written about over and over again, and that’s mostly okay with me. Other people can talk about my life. Sometimes they’ll get it right and sometimes they’ll get it wrong. For me, when I think back across my own life, there are so many things that are painful. Sometimes I don’t like discussing them. Sometimes I don’t even like remembering them. But as I get older, the shape of that pain has changed. Sometimes memories come back to me when I least expect them. Maybe that’s the only way it works when you’ve lived the life I’ve lived: starting a band with my brothers that was managed by my father, watching my father become difficult and then impossible, watching myself become difficult and then impossible, watching women I loved come and go, watching children come into the world, watching my brothers get older, watching them pass out of the world. Some of those things shaped me. Others scarred me. Sometimes it was hard to tell the difference. When I watched my father fly into a rage and take swings at me and my brothers, was that shaping or scarring? When we watched him grow frustrated with his day job and take solace in music, was that shaping or scarring? Those are all memories but I can’t get to them all at once. I’ve had a whole lifetime to take them in. Now I have a whole book to put them out there." 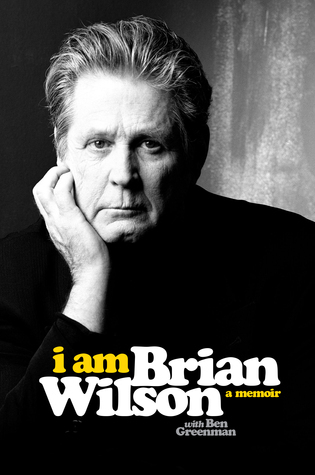 I am Brian Wilson by Brian Wilson and Ben Greenman is a 2016 Da Capo Press publication. If you have seen the movie ‘Love and Mercy’, this book makes a perfect companion piece. Told in Wilson’s own voice the events that unfold in his life are brought to life, as he translates personal observances, memories, impressions, and his feelings and thoughts as he lived in that moment or is reflecting on in hindsight. If you have not seen the movie yet, I hope you will someday. This book will give you a preview of the themes featured in ‘Love and Mercy’ which will enhance your viewing pleasure and deepen your understanding of Brian during this period of his life. This is not a conventional memoir, so do not pick this book up expecting an in depth discussion about every album or song, or a tell all book where the intimate details of Brian’s relationships are placed under a microscope. In fact, the truth is, Brian never said anything awful about anyone, even if he most certainly earned the right to do so. He takes the high road, and sticks to his own personal thoughts and memories. I loved his antidotes, this unique perspective on his life, the way he copes now, the credit he gives to his wife, and the long and hard fought battle to make it to this point. There are no excuses, no finger pointing, and the hard spots are considered life lessons, a battle won. But there is also a wistful quality to his voice, where one can sense regrets, feel the pain of mistakes made, but his willingness to admit to his faults, without making excuses for his actions, is actually refreshing. Overall, what I took away from this memoir was the pleasure of the opportunity to peek inside the mind of one of the most prolific musicians among us, to hear in his own words the thoughts and feelings about his experiences and how his battle with mental illness has shaped him, made him stronger, led him to healthier relationships and the ability to return to music, and to a more balanced existence. I enjoyed the chance to hear Brian’s version of events, and appreciate the way the book was written, as opposed to the usual format memoirs follow. It just felt more open, personal, introspective and real. Overall, this memoir is very different from any other you have read, or likely to ever read, written by Brian himself. It's free flowing, following no particular time frame or order, but is still organized into sections that tend to follow a particular theme or thought process. 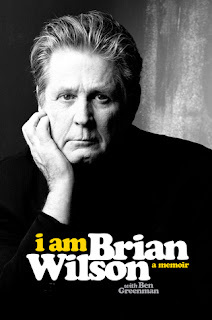 I recommend this book for fans of this artist, for those interested in hearing Brian’s inner thoughts in a personal and intimate format, or for those who enjoy memoirs in general, rock bios, pop culture, or performance arts. Brian Douglas Wilson is an American musician best known as the lead songwriter, bassist, and singer of the American pop band The Beach Boys. 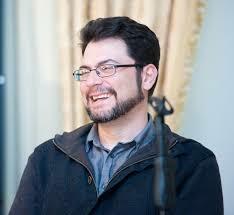 Wilson was also the band's main producer, composer, and arranger. The lead vocal parts for The Beach Boys recordings were primarily sung by either Wilson, his brother Carl, or Mike Love. Early influences included The Four Freshmen and Chuck Berry, among others. Wilson admired Phil Spector, considering him both a mentor and rival. Wilson was a perfectionist in the studio, and often upset the other members of the Beach Boys with this incessant drive for perfection. Though one of the first users of an eight-channel multitrack tape recorder, he shunned stereophonic sound, preferring (as Spector did) to work in monaural — because he believed stereo gave an incomplete "sound picture" if the listener was not directly between the speakers, although this can also be partially attributed to Wilson being deaf in his right ear.